You need to take good care of your health. Drinking sugary and carbonated beverages is a bad habit and it truly affects your health. When it comes to rehydrating, there is no substitute to clean and fresh drinking water. A water cooler dispenser from aquafil does more than just provide safe drinking water; it cools the water to make it delicious and refreshing until the last drop. The innovative filter system allows you to enjoy drinking water in its purest form. Say goodbye to impurities and foul odour; our water coolers use cutting-edge filtration technology to ensure your safety. It is our goal to make water cooler dispensers available in every residential and commercial property in Australia. Make a healthy and cost friendly decision, choose your water cooler and get a quick quote today. You may also call us at our office in Silverwater, NSW for any questions you may have. 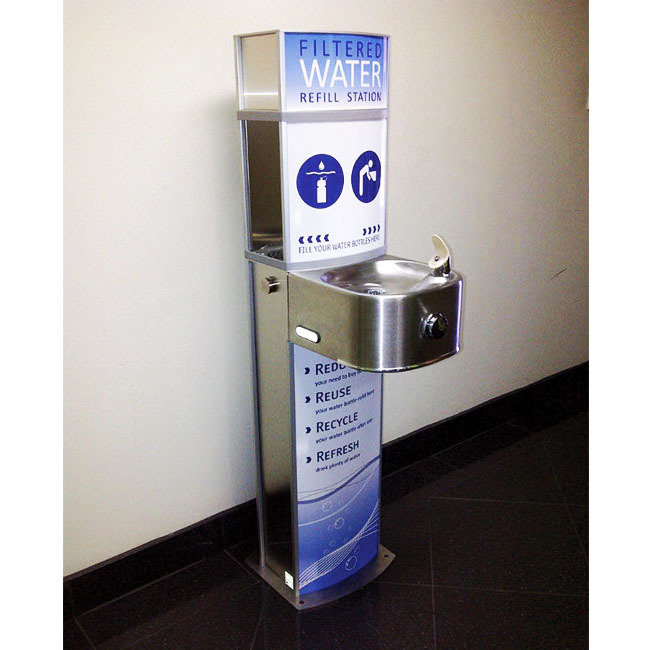 A water cooler dispenser encourages the people to refill and reuse which ultimately helps reduce the number of plastic bottles that end up in landfill or waterways. If we were all to reduce the number of plastic bottles of water we purchase each year, imagine the impact that would have on the plastic waste that is building up in our environment. With every bottle taking an average of 450 years to decompose, plastic waste is becoming a huge problem and is causing harm to bird and marine life with them mistaking it for food. Help keep look after our planet and minimise the effects caused by plastic waste in our environment. Get your water cooler or water refill station today and encourage people to Reduce, Reuse, Recycle and Refresh.